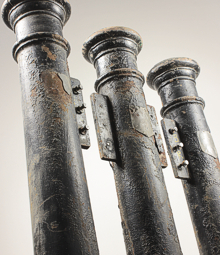 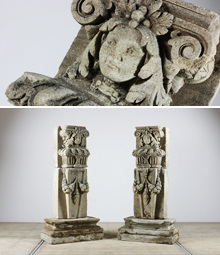 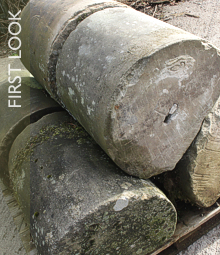 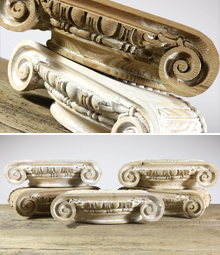 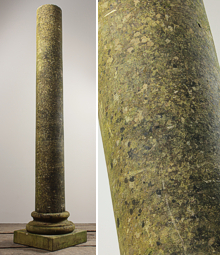 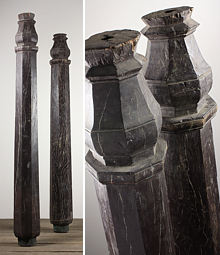 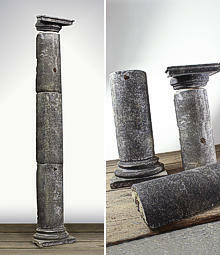 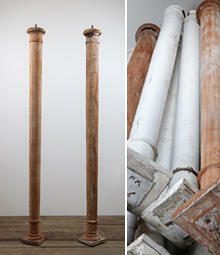 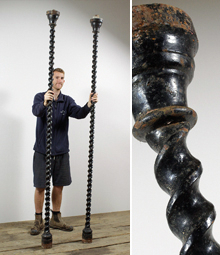 From plain cast iron columns from demolished mills and railways stations to elegant antique carved stone columns from grand mansions, English Salvage always stock a good selection of stone, wood and cast iron reclaimed pillars and columns. 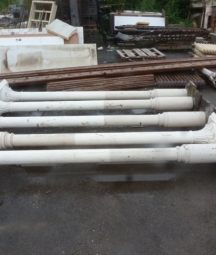 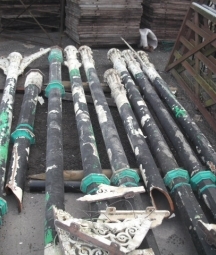 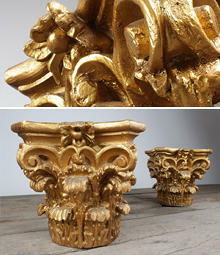 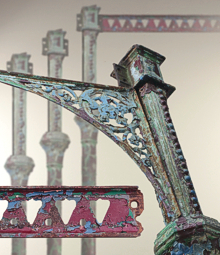 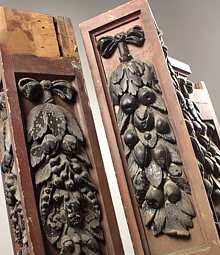 We often buy good sets of decorative cast iron balcony support pillars from decommissioned churches and chapels, these usually have ornate capitals, and fluted shafts. 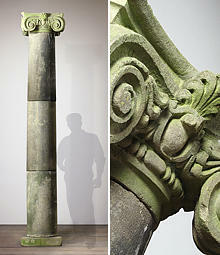 Some pillars would originally have been partly sunk under the ground level, others have plates on the base to allow them to be bolted to the floor. 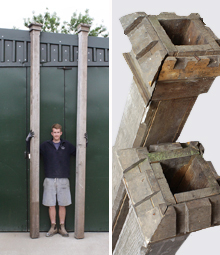 The height of a column can often be shortened, either by sinking part of the shaft beneath the ground level, or cutting off part of the base. 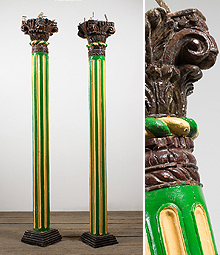 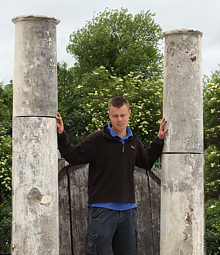 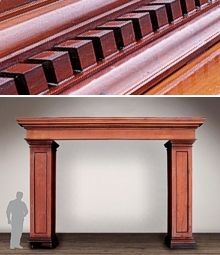 We also sometimes get runs of pillars that form a balcony or verandah front, these usually date from the Victorian era and include elaborate brackets and friezes. 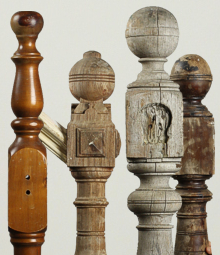 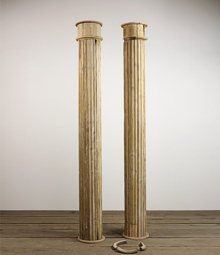 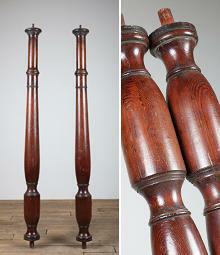 Wooden pillars are often decorative, rather than structural and sometimes are designed to connect to a wall and so have no back. 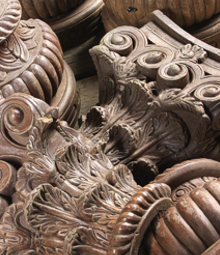 They can be of square or round section and when purely decorative they are usually made of joined thin sections of wood, rather than being solid.